I have been going to Atlanta Hawks games since Dominique Wilkins was still dunking and for the far majority of my life as an Atlanta native, I have grown accustomed to quiet offseasons when it comes to the hometown Hawks. This offseason was the same way as the rest of the NBA was in a fury over the amount of big-name free agents. The likelihood of Atlanta making a splash in the big free-agent market were slim to none, and we all knew that. 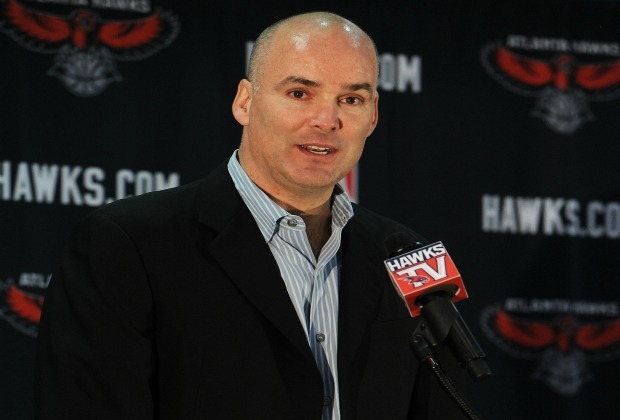 Now, the 2014-15 season approaches, and the Hawks are at the center of the NBA world and for all the wrong reasons. This originally launched the investigation that uncovered Hawks owner Bruce Levenson’s email regarding the type of crowds at Hawks games. These comments offended the black community, but regardless of your background, Levenson’s email should personally offend you. I do not go to nearly as many Hawks games as I used to. Maybe four times a year if I’m lucky. But Levenson just categorized me and all the other white people in this city. His email shows that he believes when we do not come to games that it is because we are scared of the black crowd. I can respect him self-reporting his mistake to the NBA, but this is an issue that is no where close to being fixed. Why would an owner put his own racist judgments into the motives of the whole city? The focus should be on building a winning team and not on what culture someone on the “kiss cam” is or what music is playing. I don’t go to Hawks games that often because it is expensive and there are other things I’d rather be doing. It’s that simple. It isn’t because of the fans at the game and it isn’t because I do not care about the team. In the hundreds of games at Turner Field, the Georgia Dome and Philips Arena, I have never felt scared at any one of them. The Hawks are going to have to move on. I think Danny Ferry did a great job building the team and freeing up cap space, but the franchise must see some sort of drastic change to truly move forward. We couldn’t get the big-name star before and with Ferry still on board, I do not see how the team lands any more All-Star talent. When it came to sitting in the stands and watching Wilkins play as a young kid, I can tell you it was worth the price of admission for the fans that spent their money to watch him play. This is a star-driven league.